Welcome to the 618th edition of my series. I started rehearsals for our murder mystery TO WAKE THE DEAD at the Muncie Amvets. I always enjoy more independent productions when I can do them and I think this will be a lot of fun. Last week I won one of my fantasy football games and lost in another league so we'll see how this week holds. 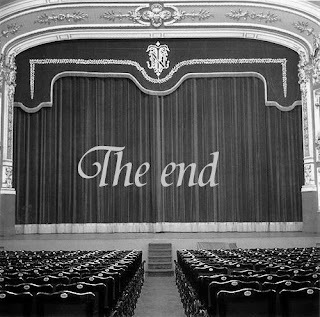 I don't have much else to say so I'll just get on with my selections. 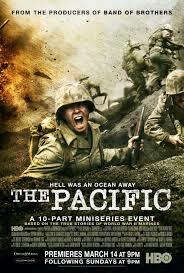 The Pacific (2010): I start the week off with this HBO mini-series on based on a group of marines in the Pacific fighting the Japanese empire. Carl Franklin and Timothy Van Patten directed this 10 episode mini-series which is based on a real unit based on the accounts of Eugene Sledge, played by Joseph Mazzello, and Robert Leckie, played by James Badge Dale. Jon Seda, William Sadler, Ashton Holmes, Jacob Pitts, Matt Craven, Brendan Fletcher, Rami Malek, Isabel Lucas, Nathan Corddry, Jon Bernthal, and many others co-star in this film. This is a companion piece to the 2001 mini-series BAND OF BROTHERS which has the producers including Steven Spielberg and Tom Hanks. Hanks also provides narration at the beginning of some of the episodes. I preferred the first one but this one stood on its own and was good in its own right. Both of them showed the value of brotherhood during horrid times like these. Both of these are available on Amazon Prime. The Last Kiss (2006): Tony Goldwyn directed this film that is a remake of the 2001 Italian film of the same name. 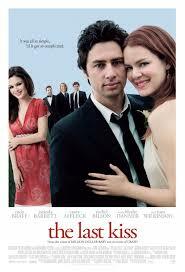 Zach Braff and Jacinda Barrett star as Michael and Jenna who have been together for three years and after Jenna's pregnancy announcement, they decide to get married. 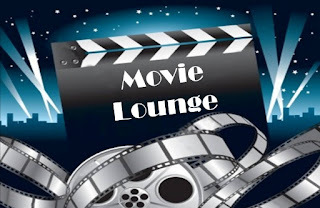 Michael starts to get concerned for life and youth being over and at a friend's wedding, he meets a free-spirited girl named Kim, played by Rachel Bilson in her film debut, who leads him on a dangerous path. The other people in his lives are having their own troubles with their love lives. Casey Affleck, Michael Weston, Eric Christian Olsen, Marley Shelton, Lauren Lee Smith, Harold Ramis, Blythe Danner, Tom Wilkinson, and many others co-star in this film. I have not seen the original version but it does spark my interest and would not know about it if it was not for this American remake. This takes a good look at the everyday insecurities people have in relationships and one maybe couples should take a look at. My Bodyguard (1980): Tony Bill directed this comedy/drama about bullying and I did not know I was doing a two part series after featuring UNTAMED HEART last week in which he also directed. 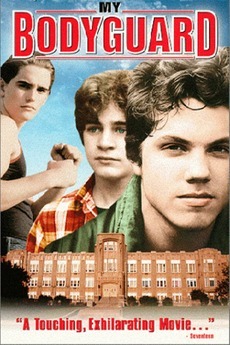 Chris Makepeace stars as Clifford Peache who is new to a high school and inadvertently gets on the bad side of the school bully Moody, played by a very young Matt Dillon. Clifford gets the idea to hire the sullen Linderman, played by Adam Baldwin, as a bodyguard. Ruth Gordon, Hank Sales, Joan Cusack, George Wendt, Jennifer Beals, Martin Mull, also co-star in this film. Gordon is very amusing as Clifford's very free-spirited grandmother, a part she played very well with things like HAROLD AND MAUDE. This is one I had never heard of and remember him back to when he was in S.E. Hinton adaptations but this goes even before those. It takes a pretty good look at bullying which is still a very talked about subject today. 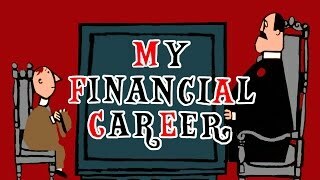 My Financial Career (1962): This is my animated short for the week. Gerald Potterton directed this animated short where a man has a hard time opening a bank account and and red tape one has to go through which was likely a lot more then than now because I recall mine not being so difficult. This is a rather simple but humorous seven minutes of a man doing something just about all of us have done at some point. This is available to watch on Youtube. 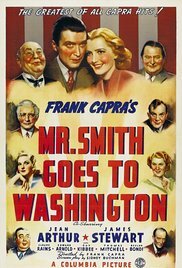 Mr. Smith Goes to Washington (1939): This is Frank Capra and James Stewart's entry into the Golden Age of Cinema. Capra directed this political film in the style on Capra could do. James Stewart stars as Jefferson Smith who is a simple and idealistic man like being the leader of a group called the Boy Rangers. A seat in the Senate becomes open and the political people get word of his name and decide he should be put into senate but they do so because they don't think he would stand in the way of their own agenda. The idealistic Smith gets to meet his idol and childhood hero Senator Joseph Paine, played by Claude Rains, but soon discovers that his hero has been corrupted through the years and sees corruption all around. Jean Arthur co-stars as Saunders who helps the inexperienced Mr. Smith get oriented into the political world and help him with a bill he wants to pass. Edward Arnold, Guy Kibbee, Thomas Mitchell, Eugene Pallette, Beulah Bondi, H.B. Warner, and many others co-star in this film. This is a very timeless film that really every politician should be required to watch and maybe a rewatch every so often. This is one that can be enjoyed by all generations and might be a good double feature to go along with DAVE. 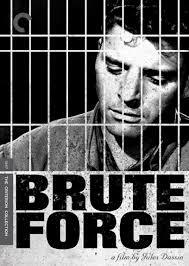 Brute Force (1947): Jules Dassin directed this prison film which was written by Richard Brooks. Burt Lancaster stars as Joe Collins who is a prisoner in a very crowded prison which is seen over the sadistic Captain Munsey, played by Hume Cronyn. With everything going wrong that could go wrong, Joe plans an escape to get out of the really bad conditions leading into a very violent climax. This is really quite a statement towards prison and even the movie itself clearly did everything possible to challenge the Hays code of the time. Charles Bickford, Yvonne de Carlo, Ann Blyth, Jeff Corey and many others are in this film. I also consider the most violent movie I have seen from that era. This is a great prison movie and in my opinion is the best of the prison films. This movie really holds nothing back. Cronyn is great as the power-hungry captain and Lancaster also does great as the tough inmate. The rest of the cast was great in this very gritty film which holds nothing back at all. 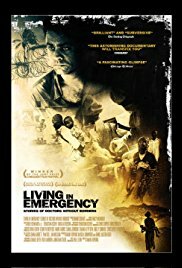 Living in Emergency (2008): This is my documentary for the week. Mark N. Hopkins directed this documentary which takes a look at four doctors with Doctors Without Borders that volunteer in the war zones of Liberia and Congo and struggle with their lack of resources as well as ideals. It also shows difficult choices they face everyday in these countries. These are some very courageous people that do what they do. They by no means make the kind of money a conventional doctor makes but still get a lot out of what they do. There is not much else I can do to explain this so just give it a watch if you can to get a look into the group called Doctors Without Borders and you can visit the website http://www.doctorswithoutborders.com . This can be watched on www.hoopladigital.com . Manos: Hands of Fate (1966): After watching the new MYSTERY SCIENCE THEATER 3000, I decided to start watching it from the beginning. According to Netflix is this season one and episode one which is not true as I learned this is in the 5th season of MST3K. This is in a time when they still had their original host and MST3K creator in Joel Hodgson I'll just do the basic plot where a married couple and their daughter get lost in the middle of nowhere and end up at a house that turns out to be satanic and run by the Master and his servant Torgo. Make no mistake, this is a very bad movie and there is a reason that it has a 1.9 rating on the imdb website. Harold P. Warren directed this movie which was his first and only movie to direct and I don't know that even Ed Wood would ever direct something this bad. Quentin Tarantino actually calls this one of this favorite movies and with the quality of films he makes, I'm not sure what makes this so great to him but at least it does not effect his own film making. Before this I saw this theaters when MST3K's counterparts Rifftrax did their own commentary. If watching this, it would be best to watch with one of the two or just get a group of friends together to put together your own riffs. 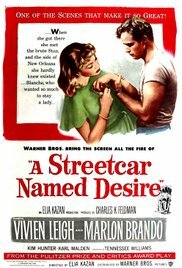 A Streetcar Named Desire (1951): Elia Kazan directed the adaptation of this Tennessee Williams play. Brando plays the rough Stanley Kowalski and Kim Hunter plays his wife Stella. Vivian Leigh stars as Blanche Dubois who is the sister of Stella and comes to visit them as well as live with them when things are going so well in her life. Stanley is not very fond of his sister-in-law Blanche who has some secrets and Stella must add to her stress as she is already pregnant. Karl Malden co-stars as one of Stanley's poker buddies and becomes a love interest of Blanche. 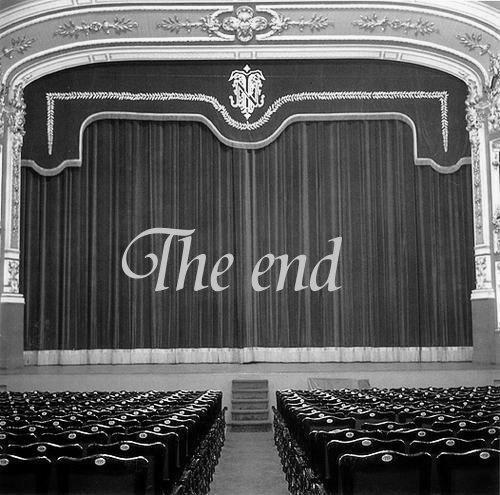 This was full of great performances and is quite the classic. In THE SIMPSONS, there was once a musical version where I believe Marge was Blanche and Ned Flanders was Stanley and I think they should write that more in depth and start doing this musical version of the Tennessee Williams story. 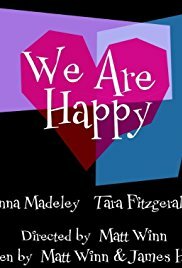 We Are Happy (2015): I had a lot going on this week so I decided this would be a great time to work in a short film to end the week. Matt Winn directed and co-wrote this short film. Elliott Cowan and Anna Madeley star in this British short film as married couple Paul and Sarah whose friends visit to announce their divorce making Anna question the happiness within her own marriage. This was a pretty clever few minutes and one that has not gotten a lot of exposure but can be found buried on Amazon Prime and was worth about twenty minutes. Well, that is it for the week. Tell me what you like and dislike and stay tuned for next week which so far includes Meg Ryan, Gene Hackman, Halle Berry, and many others.